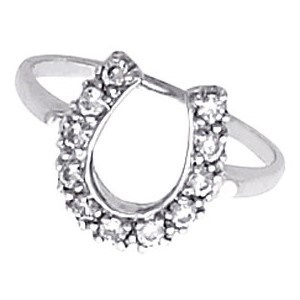 14kt White Gold and Diamond Horseshoe Ring. This classic design is the luckiest symbol you can have and also shows a true love of the animal. Perfect for a gift or just because you deserve it.